Little Dragons Cafe is the latest brainchild of Story of Seasons creator, Yasuhiro Wada, and is an attempt by the looks of it to return to his Bokujo roots. Yasuhiro Wada has had a checkered past of game releases since he left Marvelous. One needs to look no further than his first non Story of Seasons attempt Hometown Story, a game that left a lot of fans disappointed. Now he looks to be trying again with Little Dragons Cafe to try and recapture that initial magic, so how does he do? In an interview with Edge Magazine, Yakuza series creator and SEGA Executive Toshihiro Nagoshi confirmed that F-Zero GX sold a total of 1.5 Million copies world wide. This is what Nagoshi-san had to say in regards to the development of F-Zero GX and the success of the entry. Compared to us, in the big picture, we are similar. But in the finer details – their decision-making and timing – things are different, and I learned a lot from them. In short, it’s about objectivity. (…) It’s hard to describe, but when I’d say about some part of the game, “It’s okay like this, isn’t it?” they’d say, “Our company does not allow this kind of thing. Ever.” I didn’t manage to change their minds about anything. Not even once. But that’s why Nintendo has such a solid brand, even after all these years. That is why we lost the hardware war. Even though we’d lost the war in the hardware market, I wanted Nintendo to see how great Sega was as a company. We made lots of characters and courses, and we did the best we could for the graphics using the best technology of the time. Even though we’d tried really hard making games for Sega hardware, they never sold too well, but F-Zero sold over 1.5 M copies worldwide. We realized the only thing we needed to admit was that Sega did not have the ability to sell hardware (laughs). That as a developer (…) we did not need to be pessimistic at all. After it released, I got a call from Nintendo. They said they wanted to see all the source code for the game, and wanted me to explain how we’d made that game, in that timeframe and with that budget, in detail. They were wondering how we’d done it – they couldn’t figure it out. We were able to achieve something a lot higher than what Nintendo had expected. This is honestly some pretty big news regarding F-Zero GX. It has been wildly accepted that the GameCube cult classic was a commercial failure, but if what Nagoshi-san is saying is true, this would have F-Zero GX’s sales be up there with the other entries in the series. Maybe one day we will get lucky and Nagoshi-san and his team will have the chance to work their magic again on a brand new F-Zero. This morning Atlus USA has confirmed that we will be getting a Limited Edition of Persona 3 and 5 Dancing. The Limited Edition we will be getting will be similiar to that of the Japanese one, which also included a digital copy of Persona 4 Dancing All Night. ATLUS is happy to announce that every Persona Dancing game under the sun (and the moon and the stars) is heading to the West in the Persona Dancing: Endless Night Collection! This bundle contains the complete catalog of Persona Dancing games, including the all-new Persona 3: Dancing in Moonlight and Persona 5: Dancing in Starlight, as well as a digital download for Persona 4: Dancing All Night, all wrapped up in an exclusive hardcover artbook package! The Persona Dancing: Endless Night Collection will also be available digitally on both PS4 and PS Vita. Jam out to all your favorite Persona music with both Persona 3: Dancing in Moonlight and Persona 5: Dancing in Starlight in an exclusive hardcover artbook package featuring character art by Shigenori Soejima. Also includes a digital download code for Persona 4: Dancing All Night for the PlayStation®4 – the only way to get P4D on PS4! The Dancing Endless Night edition of the game will run you $99.99 on the PlayStation 4 and $69.99 on the PlayStation Vita. The game will remain digital only on the Vita but you can purchase all three games for the reduced value for the system. Currently there seems to be no other way to get Persona 4 Dancing All Night on the PlayStation 4 other than buying this collection. You will be able to purchase all of these games on December 4th, so keep a look out for our review of these games! 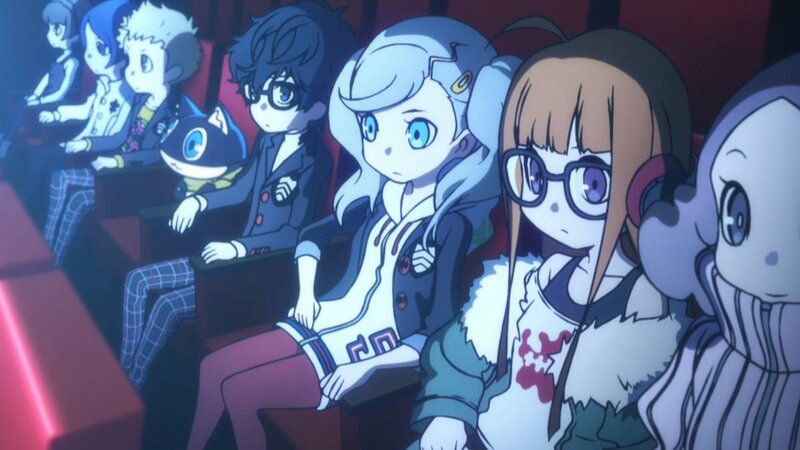 During the airing of the latest episode of the Persona 5 anime, Atlus has finally graced us with some more information on the upcoming game Persona Q2 New Cinema for the Nintendo 3DS. Persona Q2 New Cinema will be a crossover game of the cast of Persona 3, 4 and 5 mixed with the Etrian Odyssey all wrapped together in a film noir type aesthic. Persona Q2 New Cinema will launch exclusively on the Nintendo 3DS in Japan on November 29th. There is currently no word on a western release from Atlus USA, but hopefully this will change soon. It’s that time of the year everyone, finacial reports are in for a lot of big gaming companies. Sometimes these reports can give some interesting early announcements for things to come. Such as today, in SEGA’s finacial report, they seemed to have list Yakuza 6 the Song of Life for a PC release sometime between the end of this year and the start of next year. While this may not come as a surprise with Yakuza 0 having a pretty stellar launch on PC and Yakuza Kiwami heading to PC later this year, it’s just good to see SEGA committed to bringing the entire Yakuza catalog to the platform one game at a time. It will be interesting to see if we get an official announcement of this at Gamescon. The PC could be where The Dragon Engine truly shine! 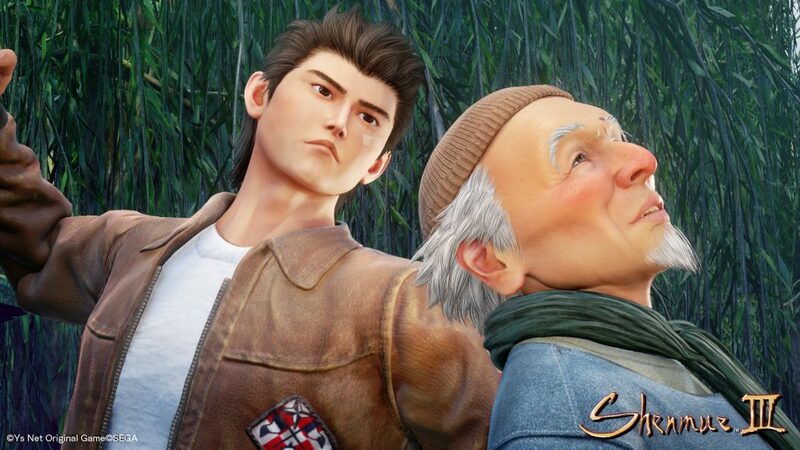 In the meantime we will keep you all posted if any news break, meanwhile you can check out our review of Yakuza 6 the Song of Life here. 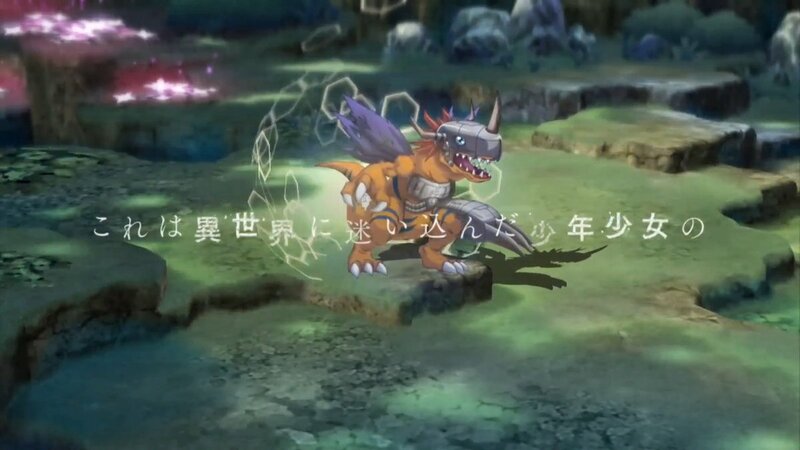 Have you ever wanted to mix the gameplay of say the Disgaea series with the charm of Digimon? Well now you have your chance. Today Bandai Namco has announced that Digimon Survive will be heading westward for the Nintendo Switch, PlayStation 4, Xbox One and PC. You can expect to get your hands on this game sometime in 2019! We will keep you all posted more on this as the news breaks. It is interesting to see Atlus begin to tease their next mainline Etrian Odyssey adventure when Etrian Odyssey X hasn’t even been released in Japan yet! We will be sure to keep you up to date as more news about the title breaks. In the meantime, checkout our review of Etrian Odyssey V! Turn-Based RPGs Flipped Upside Down – In this turn-based command battle system, you can roam freely and duke it out with fearsome monsters. During battle, players can change the game’s genre from a first-person shooter to even a fighting game! You’re Buggin’ Out – While exploring, players will need to activate character-specific dungeon skills to access hard-to-reach areas and hidden treasures! ​Follow the White Rabbit and Discover a Bug Infested World – In this hyper-realistic game world, players must help out Shina escape a game universe filled with infected bosses and mesmerizing environments! While the game is quite a bit far away, stay tuned for future coverage on this title! In the meantime check out some screenshots of this game. Today at Anime Expo, NISA has announced that they will be localizing The Caligula Effect Overdose for the PlayStation 4, and porting to to PC and the Nintendo Switch. For those of you who don’t know The Caligula Effect was released and published on the Vita last year by Atlus USA. The Overdose version is said to fix quite a few issues that plagued the original PS Vita release of this game, so this is definitely a game that should be on your radar as we learn more about the localization and the ports. The Caligula Effect Overdose will be releasing in 2019, be sure to stick around for any updates and news on this version of the game! Subscribe to us on YouTube to keep up-to-date on our Let's Plays and Reviews! Check us out on OpenCritic! We recently became official contributors on OpenCritic! Check out our contributor page here!